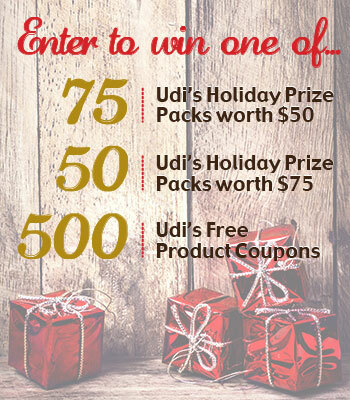 Start the New Year with Udi’s Gluten Free–Enter Giveaway Today! The Udi’s Gluten Free “care packages” arrived just in time for the College Celiac’s Christmas Break. It’s been a rough four years, trying to adapt to life with celiac disease while being away from home. Okay, truth be told, it’s been harder on me than him. I worried if he was eating enough nutritious foods. So I was thrilled to introduce my son to new foods from a company I trust. These burritos were a hit. He added Cholula Hot Sauce. What is it with college boys and Cholula? 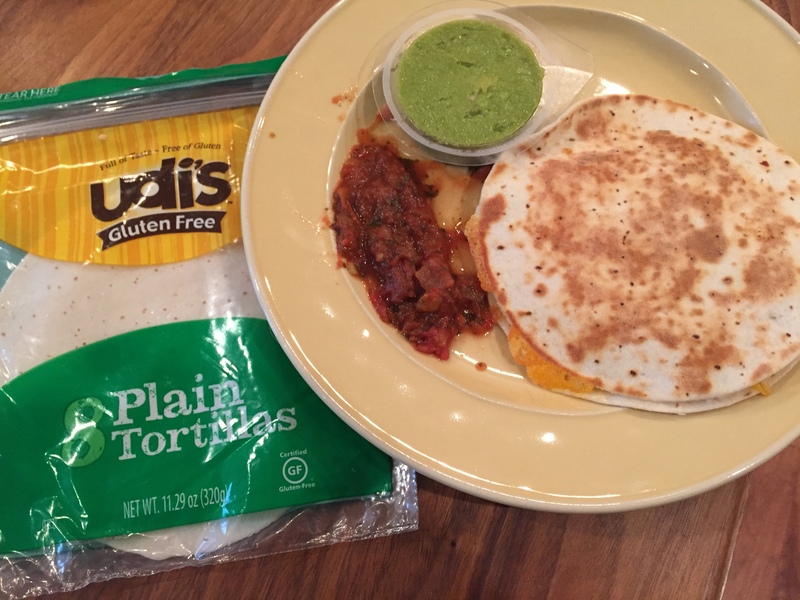 Based on the dirty dishes I woke up to on several mornings, the Udi’s Gluten Free Plain Tortillas were also quite good. These tortillas come in small and large. Dairy, soy and nut free. Allergens: egg. For those of you who are regular readers, you know I’m not much of a baker. Thankfully, Udi’s provided the College Celiac with treats this holiday: Snicker Doodle Cookies and Dark Chocolate Brown Bites (both soy and nut free). I have no photos because they disappeared so quickly. And someone only left one Double Vanilla Muffin. 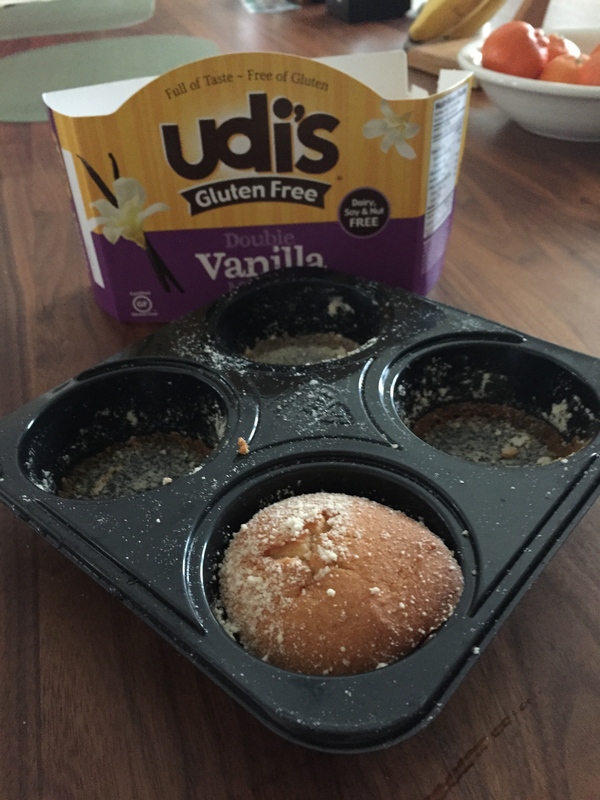 Who ate all the Udi’s Gluten Free Muffins?! My plan was to add berries on top of the muffins with some whipped cream. 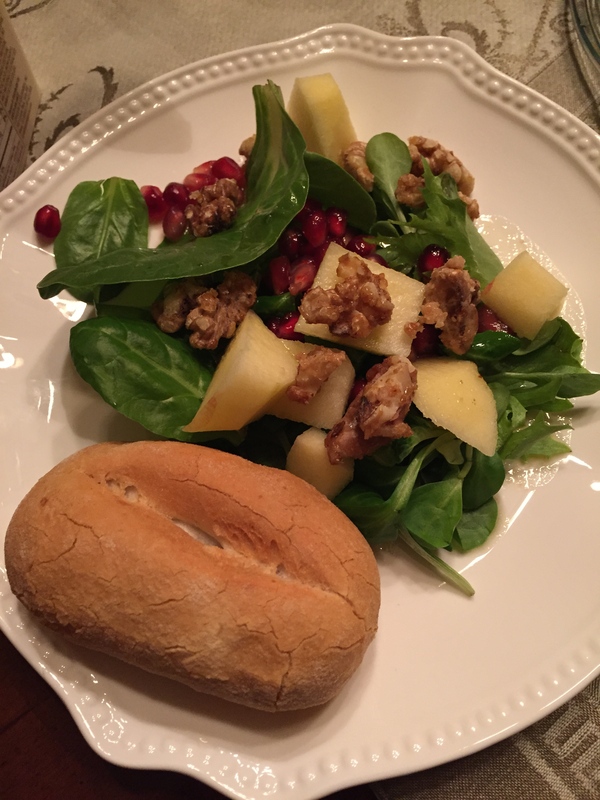 In fact, I’d planned on creating several of the terrific ideas Udi’s Gluten Free pinned on Pinterest, but then the other hungry son with food allergies came home. For Christmas dinner, I served Udi’s Classic French Dinner Rolls. Even my husband–the Eater of Everything–said they were delicious. Udi’s also has a new French Baguette that I’m planning to serve with split pea soup this evening. The boys are rallying for baguette pizza. When I post Instagram photos of my meals using Udi’s foods, I’m often asked where followers can buy Udi’s. Udi’s started in Colorado and I live in Colorado, yet many of my stores don’t carry the foods Udi’s offers. If you go to their website catalog, there is a link to either order the products or find a store near you that carry the items. I suggest you ask the manager at your favorite grocery store to start carrying Udi’s; sometimes there is a form you can fill out. 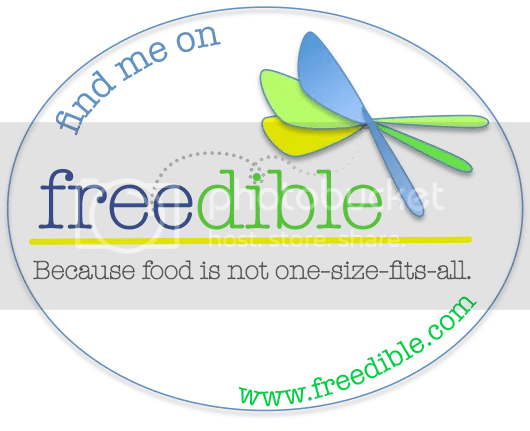 Okay, so now that I have your mouth watering, I bet you’re wondering how you can enter to win one of Udi’s holiday prize packs or coupons for free product. It’s quite easy–just click here. Good luck. And may you have a happy, healthy gluten-free New Year. 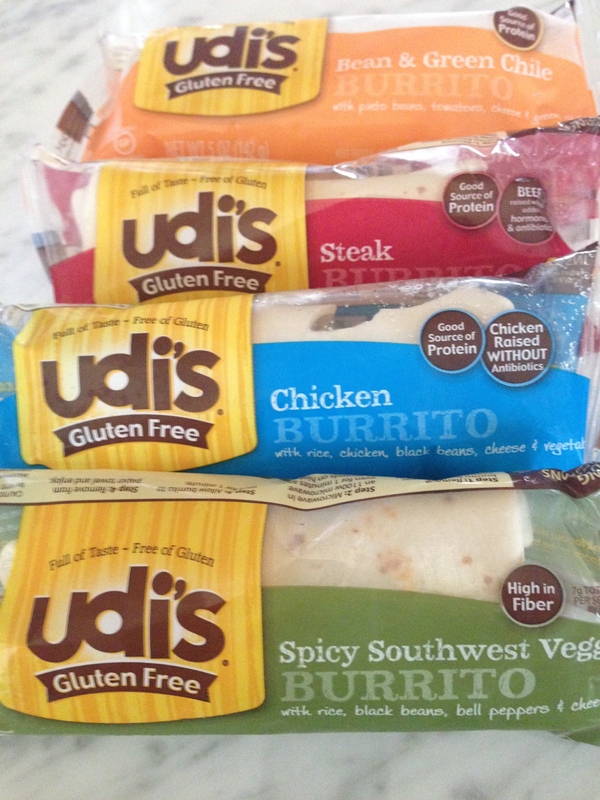 Start the New Year with Udi’s Gluten Free–Enter Giveaway Todayfirst appeared at Adventures of an Allergic Foodie.